davidzq had the most liked content! Taking SNOT to a level beyond obsession. were did you get the material to build these models.this is a project I would like to try. It's all 100% lego. You can get it directly from Lego using the "Pick-A-Brick" service. Most lego users source their parts from Bricklink.com, which is sort of like Ebay for lego. It's confusing and hard to use at first, but is usually around 30% cheaper and has wider selection. You're welcome. Always happy to help new people. that is amazing snot work! awesome job! Consider how many ladder trucks I build! I've never seen one I don't think..
Got the ambo box nearly finished! Now I just need the cab and a bricklink order, so likely another 2 weeks. 2 weeks!?!?!? You keep us in suspense. Dont blame me, blame USPS for being so slow. I know right! They once took a whole month to deliver a pick a brick order to me. They sent me a apology note with the order. Thats the one. I have a bunch of grey ones, a yellow or two, and a few red. And quite a few blue ones. What to build next...Crown vic, Chevy Silverado, or ambulance with scheme similar to http://www.flickr.com/photos/southerncalifornian/10990175936/in/pool-ambulance/ ? @ David, I've seen that ambulance in person on more occasion than one. The only things I'll be taking from it is the star and the red stripe. Though I think I'll jager the red stripe like a pulse. That's medic 414 and I see them often at one of the local hospitals. 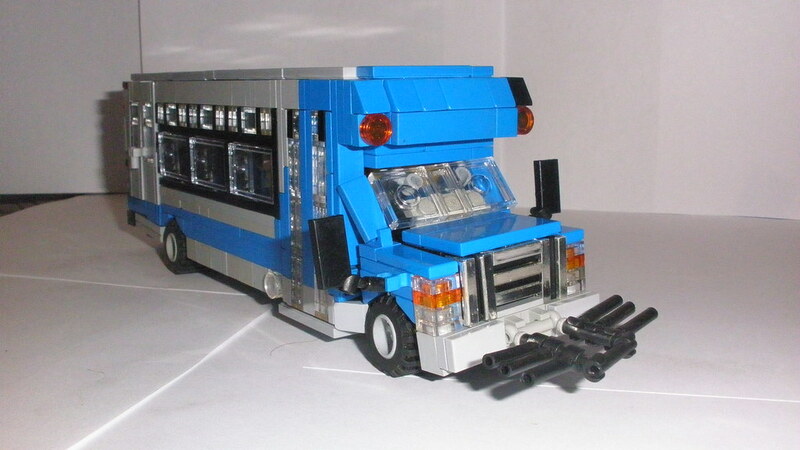 Don't you hate when your almost finished with a MOC, but then have to wait 10 days for a briclink order? My last PAB order took 2 months....Bricklink for now on. Have you ever seen Monty Python and the Holy Grail? This was actually in the credits at the end of the movie. Of course, its one of the greatest movies ever! Anyone else going to BrickCon in Seattle?